Don’t make the common mistakes most home owners never know about until it’s too late. Read this free report just released from the National Association of Expert Advisors. Did you know that nearly 50% of homes that go on the market fail? In addition, if your home does sell, on average, you can expect to sell for up to 11% less than your original asking price. That represents thousands of dollars in lost equity for home sellers each year. This year The National Association of Expert Advisors™ released a report that has received much controversy. Many real estate agents don’t want you to know these facts. The details inside this report reveal a proven, repeatable plan to get your home sold for up to 18% MORE than the methods of traditional real estate agents. In most cases, your home is your largest asset. Don’t give away thousands of dollars in equity when you sell your home. The 7 MOST COSTLY MISTAKES Home Buyers are Making TODAY!! Housing experts like Warren Buffett say now might be the best time in our history to buy a home. Smart home buyers are doing their research this time around. This insightful report released by the National Association of Expert Advisors this year reveals the most costly mistakes home buyers are making today as well as a simple strategy to finding the best deals. Mismanaged variables across the home buying process can make this once in a lifetime opportunity a nightmare. This report shows you the advanced strategies for today'? ?s home buyer. Don't be the buyer that got out-smarted, out-bid, out-negotiated, or ripped off. IF YOU ARE NOT 100% SATISFIED WITH THE HOME YOU'VE PURCHASED WITH US, WE WILL SELL IT FOR FREE! Buying a home is a huge decision, one you literally have to live with! When you buy a home through Amera Realty Expert Advisors, we'? ?ll do whatever it takes to help you find the perfect home, one you'll be happy with for years to come. Our experience and our consumer oriented programs provide you with numerous unique systems especially for our buyers which allow us to quickly zero in on exactly what you're looking for and help you beat out other buyers to the best new listings. But know this; if you find that you're LESS than happy after moving in, WE'? ?RE NOT leaving you alone. We'll stand by our representation and you decision to buy your home PLUS we'? ?re willing to set ourselves apart from other agents by offering you our unique and unparalleled Buyer Protection Plan, through our GUARANTEED SALE program. This means if you become dissatisfied or unhappy with the home you've purchased during the first 18 months of ownership, we're prepared to do all we can to make it right for you or Amera Realty Expert Advisors will sell it for FREE! Our "BUY BACK"? price will reflect the market at the time you decide to invoke this Amera Realty Expert Advisor Buyer Guarantee program. It's NOT based on the price you paid but, rather, the current market evaluation, even if 18 months have passed. We'? ?ll do all we possible can to protect your original investment. If, for whatever reason, you become dissatisfied with your home purchase within the first 18 MONTHS*, We guarantee to sell your present home for FREE before you take possession of your next one. No gimmicks, no false promises, just long term accountability that you should expect from your real estate company. This means that when you buy your next home with our team of Expert Advisors highly trained professionals, or even if you use your own REALTOR and buy one of our listed properties, you can do so knowing there's a safety net under you completely protecting your investment. If you're not happy with your home purchase within 18 MONTHS, WE'LL SELL IT FOR FREE*! Contact us today through this web page or feel free to call us directly at 919-228-6565 to discuss how we might be able to help you sell your home. *certain restrictions apply. Contact Amera Realty Expert Advisors for all the simple details. We have one commitment when working with you and that is to exceed your expectations, while getting you the best possible price, terms, and conditions when you buy a home. To do this, weâ? ?ve created our Buyerâ? ?s Advantage Program to ensure that you get the most house for the least amount of money. By enrolling in the Buyerâ? ?s Advantage Program, you will receive the FIVE STAR ADVANTAGES listed below, a variety of proprietary consumer programs and services that you wonâ? ?t find anywhere else! Our Home Search Service gives you access to search our data base for all the homes that are for sale as if you were a real estate agent. You will have the ability to see all the homes for sale based on your own search criteria, get e-mail updates, and track your favorites. More importantly you get to act on them before most agents even show them to other buyers. This service puts you in position to act quickly on some of the best deals in the market. We put our experience to work to get you the best price, terms, and conditions on your home purchase. In some cases, we can even get the seller to pay some or all of your closing costs when you buy your home. Our mortgage lenders have the experience to get you a loan program that meets your best financial needs based upon the house you want to buy. They are skilled in creative financing to limit the amount of money you need to come to closing, getting you the best rates, and even setting you up with a specialized loan program that gets you cash after closing to fix up the property just the way you want it! We even have access to programs that will give you money for your down payment! Weâ? ?ve taken the time to pre-negotiate discounts with several businesses and vendors that you, as a new homeowner, can use. Services like Home Inspections, Home Insurance, Attorneys, and several more that can save you money! A Satisfaction Guarantee backs all of these services. â? ?Free Moving Truckâ? only includes the In-town truck rental rate of $19.95 through UHAUL or another company of our choice. Amera Realty Expert Advisors will provide the buyer a voucher at closing for $19.95. Buyer is responsible for all mileage charges, upgrade charges for a larger truck, or a longer period of time than 24 hrs. Buyer is responsible for renting the truck and accepts all liability and responsibility therein. Buyer is only entitled to a â? ?Free Moving Truckâ? after: (a) Signing a signing a Buyers Agency agreement with Amera Realty Expert Advisors and (b) Buyer successfully closed and funded a real estate transaction greater than $135,000. How can you choose the right community? do research and find a neighborhood that fits your description. Ask yourself what are the most important features of a neighborhood and what makes a neighborhood special to you? Did you know that there are over 80 different variables involved in the home buying process that can be proactively managed to ensure you find the perfect home? 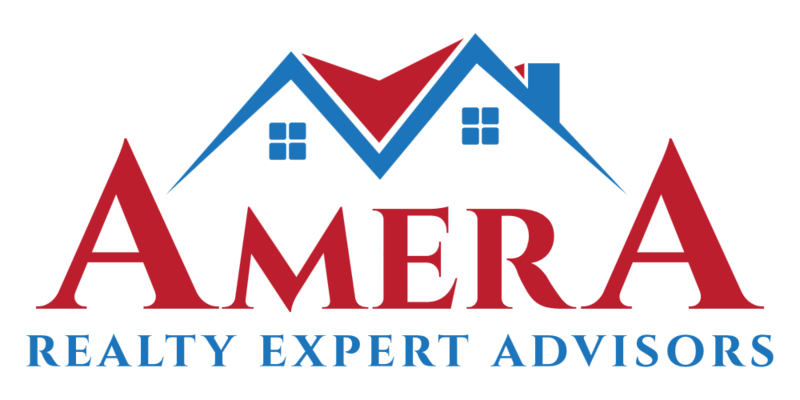 We at Amera Expert Advisors have a proven, repeatable system backed by market research to find the perfect home, negotiated at the best price and terms to save you thousands of dollars in unnecessary repairs and costly mistakes. Older neighborhood or a newer development? Close proximity to schools, shopping and restaurants? Quiet streets or a busier, active area? Here is a selection of some popular neighborhoods, for more information on a particular neighborhood ask one of our expert Agents. So, you wanna buy your first homeâ?¦.. Attend our FREE buying seminar to learn how to navigate todayâ? ?s market! Itâ? ?s a GREAT time to buy! Call to RSVP your free space today! When a Raleigh and surrounding area first-time home buyer begins hunting for the prize that has to serve both as a satisfactory home base and a solid investment, most feel a mixture of excitement (a home is a landmark achievement!) and maybe just a touch of apprehension. Adjustable rates may well be about as low as they are going to get right now and some signs point to an increase in the coming months. For a Raleigh and surrounding area first-time home owner who will be taking out a loan, if the property is right, hesitating to make a commitment based on a loan rate gamble is seldom a good idea. Consider thinking of a home as a lifetime investment. Even for those who are single or newly-wedded, it's possible that being open to a house with extra rooms could end up saving considerably on moving, transaction and agent fees, taxes, etc. It'? ?s equally important to look at neighborhoods and how they are changing and developing. If you do resell your home, location can make a big difference in how. The monthly mortgage payment is no? ?t the ultimate bottom line. When a first-time home buyer comes across a property that fills (or exceeds) everything he or she has been looking for, if the mortgage payment looks to be right, it'? ?s easy to overlook other homeowner expenses. Experienced buyers make hardheaded estimates of maintenance fees and property taxes as they will be every bit as consequential as the mortgage bill. For a first-time home buyer in Raleigh and surrounding areas, when thoughtful perspective goes into your final decision, it's that much more likely to be a decision that pays off in the long run. If you are preparing to buy this year, the Amera Realty Expert Advisors will be standing by to help get you started! When your looking to move, schools are often within the top 3 reasons people choose to relocate. Below we?? 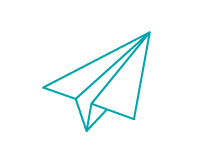 've compiled a comprehensive list of resources for education in the Triangle area. Whether you're looking for information on child day cares, Wake County Schools or surrounding counties elementary schools, middle schools, high schools, North Carolina higher education, charter or magnet schools, our goal is to provide you with the most updated information for you and to make your transition to (or within) the Triangle as smooth as possible. Please let us know how we can help you as an Expert Advisor to make your move a smooth one? YOU'VE MADE THE DECISION TO BUY OR SELL A LUXURY HOME, AND NOW IT'S TIME TO SELECT THE REAL ESTATE PROFESSIONAL WHO CAN BEST ASSIST YOU. NOT ALL GOOD AGENTS OPERATE EFFECTIVELY IN THE UPPER-TIER MARKET UNLIKE AN AMERA REALTY EXPERT ADVISOR. When buying luxury property, it's as much about who you know as what's on the market. Information is king in all real estate transactions but in those that are more complicated, such as the purchase of high-end property, it is critical. Your Amera Realty Expert Advisor agent is definitely "in the know", and goes beyond MLS listings to proactively source private listings of Raleigh and surrounding areas. We connect with you regularly to review inventory and market trends, and offer unique tools to help you make well-informed decisions. In the world of real estate personal branding has everything to do with your reputation... and that reputation is a big part of how you can get deals done. who can deliver the results you want in the luxury home arena. MISSION: TO HELP 300 FAMILIES YEARLY BUY OR SELL THE BIGGEST INVESTMENT OF THEIR LIFE. VISION: TO REDEFINE THE METHOD IN WHICH REAL ESTATE IS SOLD BY EMPOWERING OUR TEAM TO DELIVER THE BEST SERVICE TO OUR CLIENTS. TEAM We have fun, live with a passion and celebrate the journey TOGETHER as a TEAM! Phil Slezak Owner of Amera Realty Expert Advisors a Real Estate Company in Raleigh, North Carolina! Before starting in real estate sales, Phil worked in various corporate roles including VP of Sales and Marketing for a Vacation Club with Resorts in the Caribbean, CEO of a Marine Construction Company before selling the company that Phil started from the ground up, work for family owned development company in the North East and learned the nuts and bolts of home building and real estate sales. Phil openly admits that he owes much of his success to standing on the shoulders of giants (his coaches) and humble implementation. While Phil loves the real estate business, his true inspiration is his family â?? Phil and his wife Sandy have three young pets that they took in as strays. After only 10 years in the real estate business, Phil Slezak leads the top producing Amera Realty Expert Advisors real estate team in the Greater Triangle Area, on track to sell over 100 homes this year. Phil is ranked as one of top agents in the nation for total sales volume and has won numerous awards. In 2016, Phil began working on a book about the drastic changes to the New Real Estate Industry. Phil's innovative approach to marketing has allowed him to become a leader in the real estate industry. His websites attract hundreds of thousands of views annually through the use of direct response and search engine marketing as well as social media. This has allowed his team to create a database of over 20,000 buyers that are actively looking for homes in the Greater Triangle Area. FOR MORE INFORMATION ON SELLING YOUR HOME, COMPLETE THE FORM BELOW. These are some small details that will not cost you a lot of money, but can make a difference in enticing a buyer to choose your home over the competition. A minor makeover can improve the home's general "wow" appeal, giving it the competitive edge in today'? ?s market and allow you to sell quicker and maybe for more money! Clean your front entrance area. Paint or replace your front door if needed. If not, give it a good scrub down! Give the house a fresh coat of paint. During spring and summer months, add a few annuals, perhaps in pots, near your front entrance. Remove unnecessary articles from your closets, cabinets and garage. Have a garage sale to get rid of unwanted items and rent a storage space for items you are not ready to part with, but do not use every day. Look around your home and determine where you can reduce a cluttered appearance. Give every room in the house a thorough cleaning. Repair loose knobs and sticking doors and windows. Replace broken or cracked windowpanes, moldings, and woodwork. Repair dripping faucets and shower-heads. If you are on a budget and can only pick a few updates, paint and carpet are the biggest bang for your buck! Stage your kitchen and bedrooms by cleaning off counters and night stands and hide the laundry hamper. Organize the utility room and garage. Paint walls a neutral color. Open the curtains and blinds. Turn on all lights during evening showings. Remove any signs, posters or art that might be controversial or offensive to prospective buyers. Try to be somewhere other than home during the showings. Keep all pets, pet beds, litter boxes and feeding dishes out of the way. *Please be sure to fill out ALL the required Fields as the system automatically rejects incomplete forms. Last Year more than 14,321 Homes (That's 58%!) with a list value of $3,997,471,638 FAILED to Sell in the Chatham, Durham, Franklin, Granville, Johnston, Orange and Wake Market, Forcing Sellers' to Sell Below Market Value, Rent their Home, or Lose in foreclosure. Real Estate agents have been costing home sellers thousands to tens of thousands of dollars across the entire home selling process for over 100 years. The average agent only sells 8 homes per year and the average investment on marketing and promotion of only $105 per month. LEARN THE FACTS BEHIND WHAT IT TAKES TO SELL YOUR HOME FOR UP TO 18% MORE MONEY THAN TRADITIONAL REAL ESTATE METHODS. This report is unlike any other you've seen before. When you are done reading it you will be crystal clear on what an Expert Advisor looks like, how he/she can help you get top dollar for your home and why you should never pick a traditional real estate agent to help you with the sale of your home. There is a difference between a real estate agent and a real estate EXPERT. To receive the FREE REPORT NOW fill out the form below! ....In 59 Days or less, or it's Free. We will Sell Your Home at a Price Acceptable to You in 59 Days or less GUARANTEED, or We Will Sell it for FREE! While every agent will promise to sell your home, the reality of the real estate market today is that this simply doesn'? ?t always happen. Needless to say, this is highly frustrating to you as a home-seller. To set ourselves apart, we hold ourselves accountable to get your home sold. We don't just promise to sell your home, We Guarantee it. When you list your home with Amera Realty Expert Advisors, you can elect to receive our written guarantee that we will sell your home at a price acceptable to you within 59 days or we will sell it for Free. 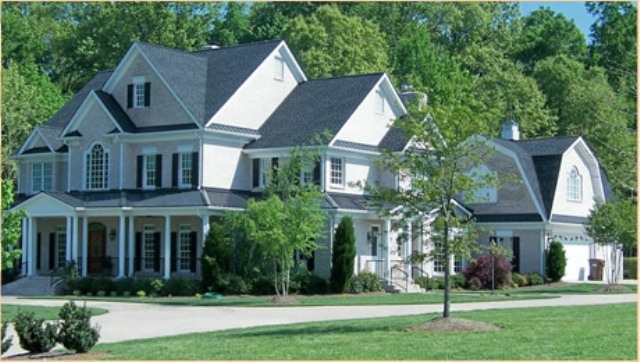 # 1 - Visit WakeHomeValues to get an initial price range valuation for your home. # 4 - Keep your home presentable and allow easy access showings so no buyers are left behind. There is no catch - and I will guarantee it -?? In Writing! For more information you are welcome to DOWNLOAD our Guaranteed Sale Addendum that is attached to the required listing documents. If you would like more information, or to see if you qualify for our guaranteed sale program, please fill out the form below or call us for immediate access at 919-228-6515. Please be sure to fill out ALL the required Fields as the system automatically rejects incomplete forms. We do respect your privacy and don't pass your information on to anyone. In the mist of disruptive innovation in other industries, The Amera Realty Expert Advisors Team with The National Association of Expert Advisors is charging forward to revolutionize the real estate industry. Creating an exclusive organization of like-minded, innovative and determined individuals, Amera Realty Expert Advisors Team along with NAEA's mission is to provide it's team members with proven and comprehensive solutions to help them grow their business exponentially. Becoming an Amera Realty Expert Advisor will provide you with a wealth of development opportunities. Simply stated, Amera Realty Expert Advisors leadership, guidance, materials and resources affects the bottom line of its members and the return on the investment has never been higher. But, becoming an Amera Realty Expert Advisor with NAEA isn't just about the value the association provides, rather it is also about sustaining and improving the lives of millions of people around the United States who want to live the ultimate dream of having ownership in real estate. Amera Realty Expert Advisors wants to help streamline the consumer experience and ensure that home buyers and sellers look to Amera Realty Expert Advisors when buying or selling their largest investments. Would you like a FREE list of Bank Owned Properties? Fill in the form below with the areas you are most interested in and we will send you a list. If you are looking for a superior deal on a new home, you may find that a Raleigh and surrounding area bank-owned home is a serious contender. Today's real estate market includes a variety of foreclosed homes, some of which can be had at process well below baseline levels. Adding to the activity in that sector is the virtual disappearance of any degree of the stigma formerly attached to the bank-owned home market. By May of 2012, Realtor Magazine was already reporting how the rise in distressed inventories had brought about an increased appetite for the sector: Nearly 65% of buyers say they are likely to buy a foreclosure today compared to 25% who said that in October 2009. And 92% of those surveyed were interested in a bank-owned home as their primary residence, rather than as an investment vehicle. If you think a Raleigh and surrounding area bank-owned home could be a serious contender for your attention, you should be aware of how to best prepare for the opportunities to be had among them. Pre-qualification not only speeds up the purchase of a Raleigh and surrounding area bank-owned home, it also produces a concrete range for your home-buying budget. Some banks charge a fee for the credit-checking procedure, while others simply build that into the bottom line. Check out our 'How to get pre-approved'?? page for more information. The biggest issue facing the buyer of a foreclosed home is the potential for damage to the property. If it's been vacant for some time, issues tied to improper weatherization or pest infestation can have resulted. A bank-owned home is typically sold as-is so ordering a thorough, professional home inspection is an absolute must. Check out our "Vendor" page for more information. Buying a bank-owned home in Raleigh and surrounding area can proceed on a different timetable than a regular home buy, so be prepared to be patient. It's essential to have an Amera Realty Expert Advisor buyer's agent on your side to help answer questions as they arise. If you are in the market for a new home this year whether it be a bank-owned home or not the Amera Realty Expert Advisor team are here to advise our clients from beginning to end. For instructions on how to apply for the current positions available, click the find out more button. their business to new heights. The fastest growing Real Estate company in NC is growing again. Talented? Skills under utilized? Looking to make a difference with your work? Seeking a team/family first culture? Let us know why we should consider you to join our team. The experience and knowledge of a dedicated full time real estate professional can be priceless. Selling a home is a complex transaction requiring time, effort and know-how. Not all agents are created equal and at Amera Realty Expert Advisors we have the capacity and resources to advertise and market your home which will bring a far wider range of qualified buyers to your front door. Selling your home can be tricky because you have to simultaneously be thinking about where you would like to buy. Have you been transferred to a new job, a new location, trading up to accommodation a growing family or trading down when children move out on their own? Selling price is certainly important, but having a quick and efficient sale can often be worth accepting a slightly lower offer. Remember: your home is worth only what a qualified buyer is willing to pay for it at the time it is put up for sale. Talk to an Amera Realty Expert Advisor and make sure youâ? ?re comfortable with where your priorities are. You have just one change to make a good first impression, so don'? ?t under-estimate the importance of a fresh coat of paint, clearing clutter, cleaning, making repairs, and putting your home's best foot forward. Don't "open for business"? until your home is ready to be seen as favorably as possible. Our Amera Realty Expert Advisor will be happy to work with you on preparing your home. You have to educate yourself about your market and be realistic about the sale of your homes. Sellers need to understand the current real estate market, because housing is a commodity, and the value of real estate properties fluctuates according to many factors including supply/demand, interest rates, and the general economy. There is no substitute for a professional real estate representative when it comes to local market knowledge, at Amera Realty Expert Advisors we recommend that our clients start to visit open houses on weekends and see properties on the market, this is a great way to further your knowledge especially if you are planning to buy too! The last step is to discuss the plan! Your Amera Realty Expert Advisor will discuss your plan and customize it to fit your needs and expectations. Selling a home is all about marketing reach and showing your home to as many people as possible. Lots of photos and online exposure are key to getting a good response for your listing. One of the most important numbers to review is the percentage of market share in your area and how successful is a particular brokerage in selling homes. 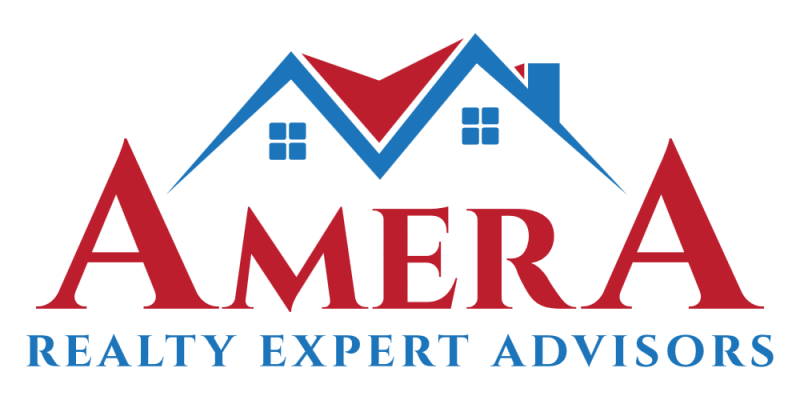 Amera Realty Expert Advisors are #1 in Raleigh and surrounding area with our guaranteed programs. Numbers do not lie! Our Guaranteed Trade Program Solves this Dilemma. Pick out your new home. Then we will market your home to our special database of buyers, our City Wide Buyers Agents Network as well as our Platinum International Referral Network. In the unlikely event, your home doesn't sell before you take possession of your new home, we will buy your home at a price acceptable to you. When we take your home in trade, you make no repairs and sell as is - no gimmicks. *Some conditions do apply. For more information to help you learn about this program and how you can make your move less stressful, a FREE special report has been prepared entitled "How to Avoid Getting Stuck with Two Homes". Order this report NOW to find out how to trade in your existing home for a new one. Please complete the form below. Please be sure to fill out ALL the required fields as the system automatically rejects incomplete forms. Buyers and Sellers, Learn About The Future of Real Estate The EXPERT ADVISOR WAY! Amera Expert Advisors leads the new age of real estate industry in the way real estate is bought and sold. In selling your home, there are over 115 variables involved in the home selling process that influence the Price Swing Effect. If you proactively manage all of these variable, your home will sell at the top of the market. If you ignore these variables, your home will attract much lower offers, or worse, no offers at all. To help you in selling your home, always look for a Certified Home Selling Agent and click on the link below to get interactive information for free. In purchasing a home, did you know 68% of buyers are NOT satisfied with their real estate agents' home buying process? We have identified over 80 different variables involved in the home buying process that can be proactively managed to ensure you find the perfect home, negotiated at the best price and terms. To help you in buying your home, always look for a Certified Home Buyer Agent and click on the link below to get interactive information for free. To learn about our interactive videos series in buying and selling real estate, click here INTERACTIVEREALESTATE. From pest control to a mortgage for your new home, we have selected the cream of the crop to partner with. Our partners are with us because of many factors including experience, expertise and top notch customer service. We are comfortable recommending the following individuals because of their outstanding track record in helping us and our clients. In your search for any home related service, we strongly urge you to consider our list of partners. Originally from New York, my family moved to Raleigh in 1978 and I very much consider myself a North Carolina Native. I have been in the mortgage industry for over sixteen years and enjoy counseling individuals on the many mortgage products available to them and I have extensive experience with all types of mortgage programs to meet the best interests and needs of my customers in today's market. My high level of expertise in the business provides me the expertise to easily guide a client through the process to assure their ability to make the best informed decisions which will result in their exceeded expectations. Wells Fargo has a broad menu of products to fit the needs of our clients and I look forward to assisting them with the best mortgage financing opportunities. University of North Carolina-Greensboro, M.S. Award Winning Real Estate Team...with an Overflow of Serious Prospects... Seeks Sales Professional SUPERSTARS Mined Agents Who Want to Make More Money and Have a LUCRATIVE Sales Career! We Hire Personality Types, NOT backgrounds or Stats!!! Thatâ? ?s right â?? make more money and have a more fulfilling real estate career! My name is Phil Slezak with Amera Realty Expert Advisors and as you may or may not know, we spend a small fortune in marketing and as a result...We consistently have an overflow of Buyer and Seller Prospects who are ready, willing able and qualified to act now and our biggest problem is not enough sales support to help all these qualified and motivated prospects. You Can Increase Your Appointments, Showings, Closings and Income Literally Overnight! Our System can put you in the very enviable position of helping to assist these prospects. You see, most of the people who call day to day need an agent to work with. We are looking for ambitious sales professionals to handle all these overflow of prospects (as many as you want). That's right, all of the Buyer and Seller prospects call and email us - and we do no cold-calling. This is NOT for the brand new agent seeking a shortcut to proficiency nor is it for the agent who is struggling with the current real estate market due to lack of effort. We are looking for individuals, who are success minded, quick thinking, have a desire to make more money, possess excellent communication skills and pig headed discipline and determination to succeed. You'? ?ll receive an endless stream of FRESH QUALIFIED leads (ready to buy and sell now) and appointments to work with day in and day out. Sales Associates at Amera Realty will make a lot of money, but more importantly - they keep it. Plus you will receive invaluable leading edge training on all type of systems including marketing, admin support, consumer programs as well as available FREE Coaching and Training programs. So, if you like to hear how you can make more money, quicker, faster.....$100k plus per year and if you are, HIGHLY Motivated a terrific presenter, good communicator, a barracuda closer, then come and build your own empire within our fine progressive company. Everything you NEED in your pockets to put $100k plus For a no obligation confidential discussion please contact our office at 919-228-6515 or email recruiting@amerarealty.com. You can also go to www.How2SellMoreHomes.com to view Expert Advisor requirements along with our Amera Realty Expert Advisor's Core Values. Happy New Amera Realty Expert Advisor who just purchased their new home with his future wife and three boys just in time for Christmas!! Phil was great! His innovative marketing ideals were excellent and the sole reason that the home sold during these difficult times. Phil sold our home with his Sold in a Week program even thought we had a snow storm as it sold that weekend for 97% of asking price. I can'? ?t believe it! We fired our last agent and hired you because we heard you were the best of the best! Well, you did it! You sold my home in 1 day after the other agent tried for 6 months! You actually sold our home in 4 hours from your data base of buyers that you showed us when we first meet about selling our home. We would recommend you to anyone! When you find a home you like Once you become one of our VIP Buyers, and we've helped you find the home that you want to purchase, we will negotiate on your behalf to help you purchase this home for at least $7,000 less than the listed asking price guaranteed including closing cost, or we will pay you $1000 cash at the closing of the sale. To get more information on how you can become one of our VIP Buyers, and receive our $7,000 Home Purchase Savings Guarantee on homes above $150,000, contact us! *Be sure to fill out all the required fields. The system automatically rejects incomplete and/or inaccurate forms. Public Service of North Carolina (PSNC -Gas) – 1-877-776-2427 PSNC for service. City of Raleigh (Water & Sewer) – 919-890-3245 City of Raleigh for service. Redirecting to searchhomesinraleighnc.com to complete your search.